Aligning Conservation Priorities Across Taxa in Madagascar with High- Resolution Planning Tools. 2008 (Science 320: 222-226). We present an analysis of conservation priorities in Madagascar encompassing broad taxonomic and geographic breadth and spatial resolution, showing that multitaxonomic, high-resolution approaches are critical for identifying areas likely to promote the persistence of the majority of species. This analysis has immediate relevance in Madagascar, where the government is tripling its protected-area network, and the approach is transferable to other global priority areas. 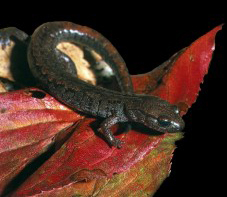 Rapid diversification and dispersal during global warming periods by plethodontid salamanders. 2007 (PNAS 104:19903-19907). The disjunct and highly asymmetric Holarctic distribution of plethodontid salamanders has long been a biogeographic puzzle. Here we investigated the phylogenetic relationships, origin and diversification of these salamanders in the Holarctic, proposing new hypotheses on the historic biogeography of this group. Discovery of the first Asian plethodontid salamander. 2005 (Nature 435:87-90). 98% of plethodontid salamanders occur in the Americas, with few representatives in the Mediterranean. The first Asian plethodontid ever discovered has important implications both in the biogeography and diversification of the most speciose family of salamanders. This new species is also a completely new clade and we placed it in a new genus: Karsenia. Clutch piracy in an amphibian. 2004 (Nature 431: 305-8). The biology of the european common frog, Rana temporaria, has widely been studied during the last century. I discovered a new behavioural pattern for this species and for amphibians in general. It consists in the amplexus of males with clutches as they would do with females, resulting in multiple paternity. 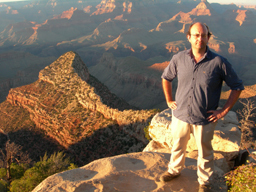 In these pages you can find information about my research activities here at the University of California, Berkeley. Navigate through the flash menu to get access to the different sections. 3101 Valley Life Sciences Bldg.